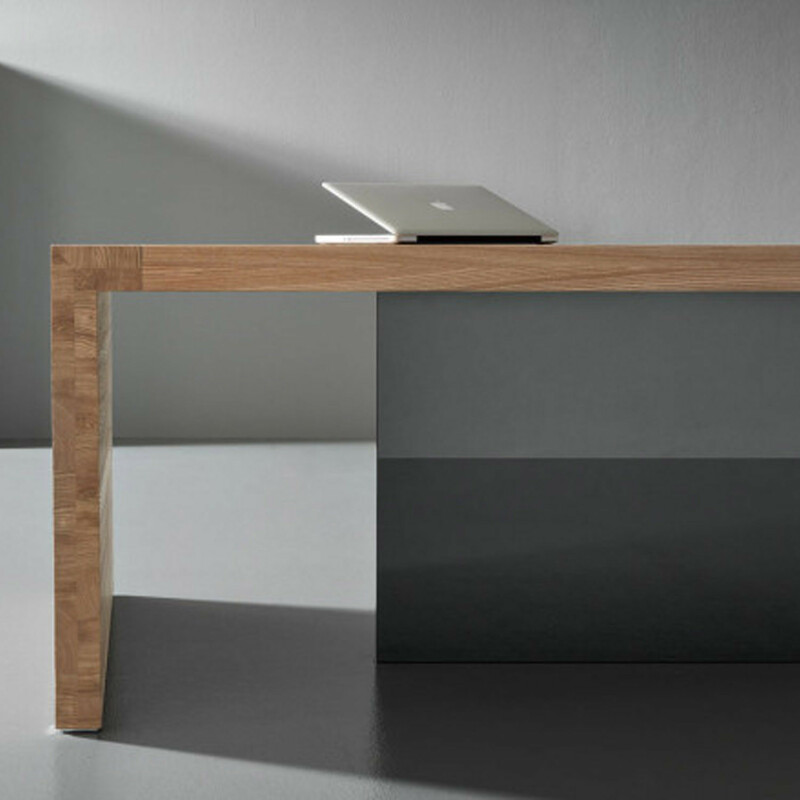 Kyo Olmo Executive Office Desk demonstrates the materiality of the red American elm wood: great strength and exceptional structural characteristics. Kyo Olmo stands its ground as a prestigious high-end executive office furniture piece for any high profile management office. The desk top is very much shock-resistant and shows a natural open pore finish that allows the material to breathe, is electrostatically charge-proof and prevents dust from accumulating. 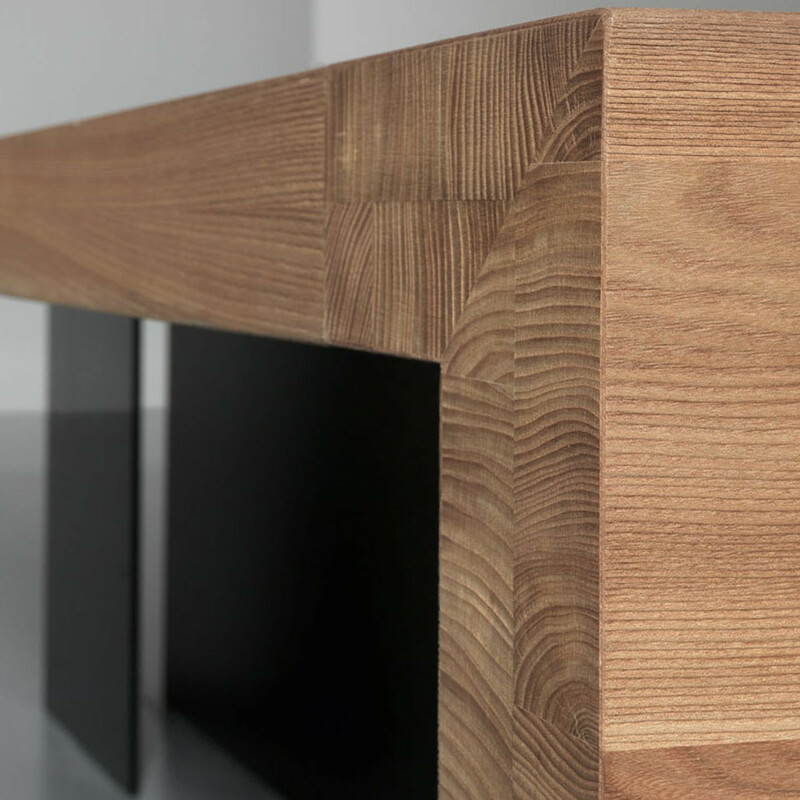 The American Red Elm (Ulmus rubra), chosen by Martex for Kyo Olmo Executive Office Desk is officially Forest Stewardship Council (FSC) certified, so you can be certain that environmental and socio-economic rigorous standards are respected. 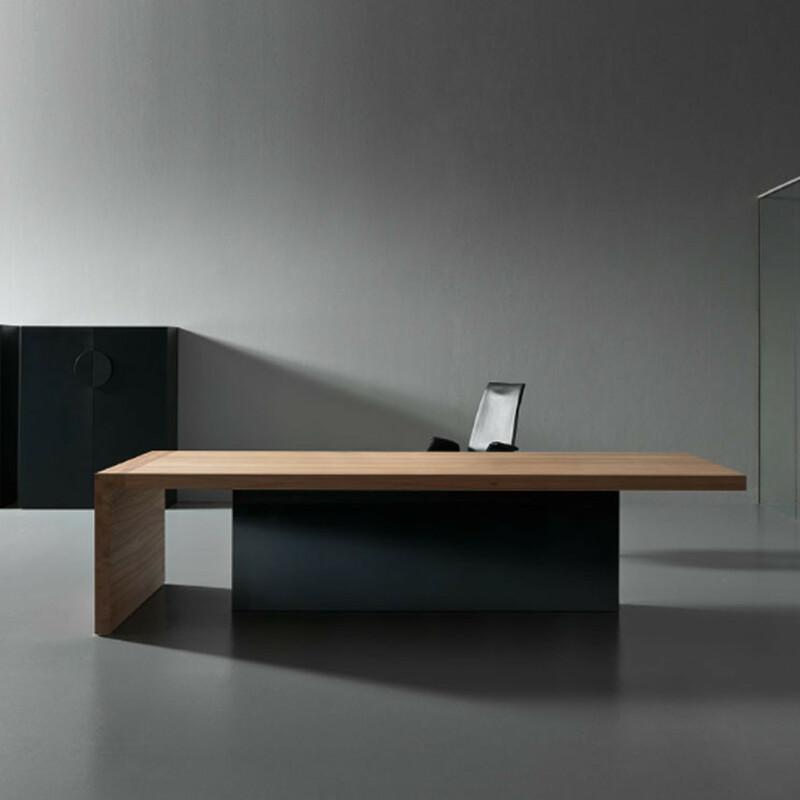 In this interpretation, the iconic sign of Kyo is even further marked by the vertical element where the solid wood components cross the soft grain of the veneer top. Kyo Olmo Executive Desks are crafted piece by piece; a genuinely unique custom made desk each time you order. 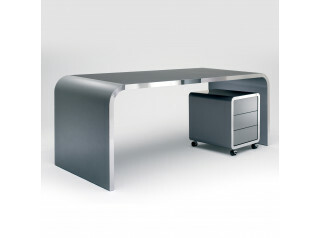 The Kyo Collection also comprise Kyo Executive Desks (see Additional product options below). 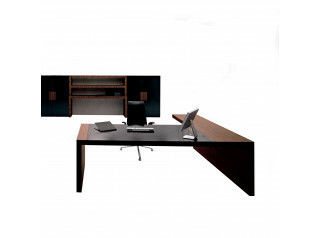 You are requesting a price for the "Kyo Olmo Executive Office Desk"
To create a new project and add "Kyo Olmo Executive Office Desk" to it please click the button below. 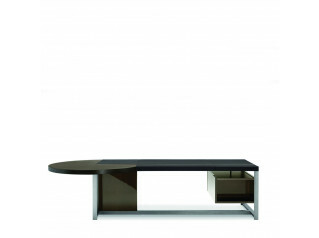 To add "Kyo Olmo Executive Office Desk" to an existing project please select below.